Panama, located in Central America between Costa Rica and Colombia, has been one of the first countries to contribute to our knowledge of New World Monkeys. With a strategic location, and being small in size, it is heralded by geographers as the “sleeping S-shaped isthmus.” Working as a bridge between North and South America, Panama has facilitated a significant interchange of fauna between these two regions, and enabled scientists from different parts of the world to collaborate. Primatological research in Panama was initiated by scientists from the United States wishing to explore the tropical fauna and flora and value the tropical biodiversity when the creation of the Panama Canal took place. These studies started in the early 1900s when the canal builders, hounded by malaria and heavy rain, were fighting hard to infiltrate the dense tropical forest of central Panama. New study techniques implemented by the United States government were flowering, such as the work of Dr. William Crawford Gorgas to stem the threat of malaria, and at the same time the studies by the Panamanian Dr. Luis de Roux to eradicate tuberculosis, both supported by Dr. Belisario Porras, President of Panama (1921). Biological methods were applied to detect vectors of disease, and part of the results in understanding the malaria cycle were due to the use of colonies of Aotus zonalis in vitro. After the Panama Canal was inaugurated in 1914, scientists became interested in the long term study of Panamanian fauna and flora, due to the high levels of biodiversity found in the region. They noted that the highlands of the Canal Zone still had some remaining forest patches for potential study sites, and identified the artificially created GatúnLake as a suitable place to establish a scientific base for tropical medicine studies. In 1923, after various meetings and negotiations with high commands of the Panama Canal Zone from the United States, the territory of the biggest island in the middle of the canal was dedicated to research. The island was on top of the mountain neighboring the Barro Colorado town, submerged by the overflow of the Rio Chagres in the artificial lake Gatun, reasons for which the island was named Barro Colorado Island (BCI). The Biological Zone in those days was under the jurisdiction of the Panama Canal Watershed, and was later administered by the Smithsonian Tropical Research Institute (STRI) and the Panama Environmental Authority (ANAM). Briefly, new scientists started running research projects on the island and primates were targeted. Among some of the primatologists that have carried out research in BCI since 1923 are: F. Chapman, C. Carpenter, M. Moynihan, C. Southwick, N. Collias, J. Oppenheimer, D. Chivers, R. Mittermeier, K. Milton, C. Campbell, and a number of others. The most studied species on the island at the time was the Equatorial howler monkey (Alouatta palliata aequatorialis), where research about its ecology, population and diet illustrated the complicated dynamics of monkeys in a tropical rainforest. The history of primatology in Panama does not stop in BCI however. There are a number of projects conducted by Baldwin and Baldwin since 1971, which involve research on Alouatta palliata palliata and Saimiri oerstedii oerstedii in the Chiriquí high lands in west Panama. Taxonomic research carried out by Froehlich and Froehlich in 1987 aimed at determining the existence of new species, the Coiba island howler and the Azuero howler (Alouatta coibensis). Reintroduction studies resulted in the formation of the Panamanian Primates Refuge by Dennis Rasmussen (early 1980s) with support from FloridaStateUniversity. Further contributions have been made by United States scientists, such as the establishment of a field station at Bocas del Toro, which includes a primate field course run by the Institute of Tropical Ecology and Conservation (ITEC). Visiting primatologists have also had a strong positive impact on the University of Panama and the Gorgas Commemorative Institute. Although there was no official link between American primatological research and students of the University interested in primates, Panama has developed studies as a part of the Gorgas micro-hunters team, initiated by Eustorgio Méndez and Pedro Galindo. This team of researchers has carried out different studies in the field of entomology, rodents and mammals in general. For his pioneering efforts in developing Panamanian science, Méndez was awarded the Order Manuel Amador Guerrero, a prestigious honor in Panama. Méndez has been a model for the new generation of Panamanian scientists since his first work on the mammal guide, and due to his creation of the VertebratesMuseum at the University of Panama. 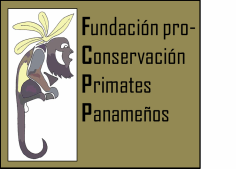 Resulting studies of primates by Panamanians in the early 1980s were initiated by Felix S. Nuñez, who was the first person in Panama to realize the need for a Panamanian Primate Foundation. The idea was accepted and the organization created, yet it remained inactive for a few years due to a lack of members and insufficient support. 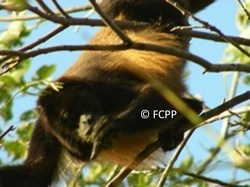 Following on from this initial movement, work was carried out on the adaptation of populations of Alouatta palliata trabeata in a fragmented forest by Lic. Carlos Brandaris, and population studies of Saimiri oerstedii by Jacobo Araúz MSc and Ariel Rodríguez MSc, from the University of Panama. Both Araúz and Rodríguez have been linked to the Mesoamerican Society and have represented Panama in different congresses, publications and conservation initiatives since the 1980s. Prior to 2000, no long-term projects had yet been established by a Panamanian, until a student from the University of Panama, through their own interest, began research on the Azuero howler and spider monkeys. The project’s urgent goal was to conserve two primate taxa Alouatta coibensis trabeata and Ateles geoffroyiazuerensis, which have both been classified as Endangered. The Azuero endemic primates project has been supported by partial funds from Primate Conservation Inc., Idea Wild, Ford Motor Company, Panatex, Advantage Tour Panama and the advise of international scientists like Robert Horwich, Noel Rowe, Anthony Rylands, Liliana Cortes-Ortiz, Juan Carlos Serio Silva, Katharine Milton, Anna Nekaris, Corri Waitt, Robert Horsburgh, Tom Webber, David Reed, Sean Kelly. The final giant step for primatology in Panama has been the opportunity for a Panamanian to gain recently his Master of Science in Primate Conservation at Oxford Brookes University, United Kingdom. This should be considered as a big step in the primatology due to the lack of specialist of his topic in Panama and the urgent needs to take care of primates subspecies living in our country. The revolutionary movement of Panama since 2000* could be considered as the “awakening of the S shaped isthmus”, ensuring the long-term future of primatology in Panama, and a continuation of conservation efforts that strive to protect its endangered primate species. *At least this was the last comment about Panama’s participation in the 1st New World Primates Congress, celebrated in Bogotá, Colombia by the Colombian scientist Jorge Hernández Camacho (mono Hernández q.p.d. ), who briefly discussed about the Central and South American contributions in terms of Primatology in June 14, 2001.